The Monthly Stitch started in July 2013 and is currently run by Mel, Ciara, Nikki, Kyla and Elizabeth. Previous collaborators include Kat and Juliet. The Monthly Stitch is an international ongoing sew-along. Each month we post a new challenge theme and encourage participants all over the world to sew one or more items in that theme and share it here on The Monthly Stitch Blog. Why have monthly challenges? To increase our sewing productivity and creativity! With the added bonus of building an online, collaborative sewing community where we can all be inspired by and learn from others, and make new sewing buddies all around the world. And have a heck of a lot of sewing fun too! We’d love to invite you all to sew along with us here at The Monthly Stitch. You don’t need to take part in every challenge – just choose the ones that inspire you. Want to join our group? You can find out all you need to know right here and scroll down to the bottom of the page to sign up. Each month there’s a different theme to sew along to. These are announced at the start of the previous month, so you’ve got plenty of time to plan ahead what you want to make. You can read more about the challenges over here. It’s up to you how many challenges you sew along with – you can sew along with as many or as few as you like. (And if you feel like sewing more than one thing for a challenge, go right ahead!) Once you’ve created something for a monthly challenge, write a post about it for The Monthly Stitch blog so everyone else can see what you’ve made. Ideally we’d love you to post the current challenge during that month. For example, if the March challenge is “green fabric” then try and post your “green fabric” make during March. However we know that things don’t always work out as planned and don’t mind if you post during the first week of the following month, you might sneak in a bit later occasionally too 😉 Just make sure you add your post to the right category. The challenge categories are there for you to be inspired by – it’s up to you how you want to interpret them. For example, in the ‘sewing double’ challenge, contributors made two of the same pattern during the same month, re-made a pattern they’d made in the past, made mother-daughter creations, and so on. We’d love to invite you all to sew along with us here at The Monthly Stitch. You don’t need to take part in every challenge – just choose the ones that inspire you. Want to join our group? Find out all you need to know over here. There are two parts to The Monthly Stitch – the blog and the Facebook group. The blog is where you can post your finished creations. To post on the blog, you need to be set up as a contributor. This is super easy to do – just fill out the little form at the end of this page and you’ll get an email from us with all your details and some tips on how to post. The Facebook group is where you can have conversations about ideas, inspirations, sewing in general, ask questions, all that sort of good community stuff. 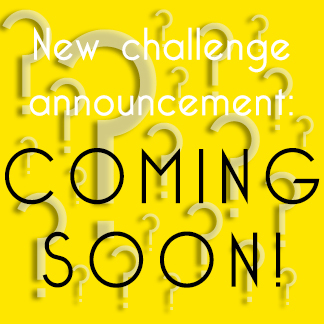 Curious about who’s making the challenge buttons, managing the site and the Facebook group, and answering all of your questions? You can find out more about us over on the Collective page, as well as find out who all of The Monthly Stitch contributors are. Join us as part of The Monthly Stitch Collective! Whether you already have your own blog or not, wherever you are in the world, we’d love to have you join the monthly sewing challenges. The Monthly Stitch Blog is a great opportunity for non-blogging sewists who want to share their creations with the online sewing community but are not sure if they are ready to maintain their own personal blog. If you’d like to be a part of The Monthly Stitch and post to our blog please use the contact form below. Read on below for tips on how to post. New sign ups: Please keep in mind that we process your sign ups manually, this means it can take up to 48 hours to receive your email with sign up link. You must click this link to activate your privileges. The Monthly Stitch is a WordPress blog. For new WordPress users, the WordPress toolbar and dashboard can seem a bit daunting but with our help we’ll get your posting in no time. Please click here for a quick tutorial on how to get you started writing your first post. Unsure of what to write about? Here are some tips on what to include in your post. If you have your own blog too you can easily copy your post across, further down we explain how. Feel free to link back to your own blog but please still include details and images of your make, rather than just a link to your original post. What can I post on The Monthly Stitch? We’d love to see what you’ve made for the current theme! (You can find out what the current and upcoming themes are over here.) Show off what you made for the current challenge, tell us about it, show us photos! Posts are only for completed creations though – please don’t post any work in progress posts, or anything to do with advertising. There is to be no advertising in blog posts on The Monthly Stitch. You’ll see occasional posts about patterns, designers or stores – these are posted by the editors usually as part of a sponsored monthly theme (e.g. Indie Pattern Month). We want all posts to be valuable to the Monthly Stitch community (e.g. behind-the-scenes interviews with sponsors who have donated prizes for the Monthly Stitch community). Please do not use affiliate links in your blog posts. Your editors work hard as volunteers to keep The Monthly Stitch blog operating and for the Collective to use for free. Any money we make through bundle sales or sponsorship goes directly back into the blog to benefit the entire Collective (e.g. hosting, store fees). Your editors do not make any money and it is unfair to everyone to use the blog to benefit yourself financially. As an Author on The Monthly Stitch you are to able to upload images directly to the blog. We have a limited amount of free server space so we ask that you only upload one image for your post as the “feature image” and all other images in your post should be inserted using the image URL/HTML code from a photo sharing site such as Photobucket, Pinterest, Flickr, Picasa, etc. The image you upload as a feature image must be no bigger than 500 pixels across it’s largest dimension. There’s a quick tutorial on how to resize images here. To learn how to upload a single feature image (which will automatically appear at the top of your post and on the tiles home page) please click here. Feature images should be 440 pixels wide and 300 pixels high so that they display nicely without distorting. To learn how to insert more images to your post using URL codes please click here. Your inserted images should be a 500 pixels across at their largest dimension, read the tutorial for how to do this. We also have a quick tutorial on using PicMonkey (which is free!) for editing your images, check it out here. Published posts that do not meet the image guidelines above will be removed by the Administrators and you will be asked to resubmit the post using these guidelines. When should I post my completed challenge, what are the deadlines? The last day of every month, no matter where you are in the world, is “Amnesty Day“. This is your day to catch up by posting your very late completed makes or chose to try any other challenge from the past that you might have missed out on. Make sure you add your post to the correct past category and also tag it “Amnesty Day”. I’ve already written a post on my personal Blogger/Wordpress blog, can I just copy that post to The Monthly Stitch? WordPress blogs: Edit your personal blog post on WordPress, click on the “text” tab and copy the entire code from that page. Now start a new post on The Monthly Stitch and paste the code into the “text” tab. Now you can click onto the “visual” tab or preview the post to check it has copied correctly. Feel free to change the title, any images, links or text before publishing. You still need to upload your feature image and don’t forget to click the right category for the challenge you are posting. Blogger blogs: Edit your personal blog post on Blogger, copy your entire post from the “compose” tab. Now start a new post on The Monthly Stitch and paste the code into the “text” tab. Now you can click onto the “visual” tab or preview the post to check it has copied correctly. Feel free to change the title, any images, links or text before publishing. You still need to upload your feature image and don’t forget to click the right category for the challenge you are posting. How do I get a button/badge for my blog? Want to show off on your blog that you’re a contributor to The Monthly Stitch? We’ve made buttons, just for you! How can we interact and discuss the challenges/share our WIPs? We have a Facebook Group Page! Click on through and request to join, we look forward to some great discussions and amazing WIP photos! Share your instagram pics with #TheMonthlyStitch and look out for theme specific hash-tags on the challenge pages/buttons. How do I get added to the Collective page? Over on the Collective page, you can see all the amazing people who are contributing to The Monthly Stitch. Once you’ve posted your first creation on the blog, you’ll get an email from us asking for some of your details so we can add you to the list of contributors. We include a thumbnail image (of you or an avatar if you prefer), a link to all your posts on The Monthly Stitch and a link to your own personal blog (if you have one). We also like to include a short ‘about you’ blurb, it doesn’t have to be long and can include anything you like about you or your sewing. Can I suggest a theme for The Monthly Stitch? Of course you can! Use the form below to suggest a theme. We have a lot of theme ideas but we’d love to incorporate a few from our readers/participants. Want to get in touch with us with a question, an idea, or some feedback on The Monthly Stitch? Fill out the form below and you’ll hear from us soon.